Video of SAFE,Inc. Check out this 2000 video of the Straight legacy program SAFE by reporter Alan Cohn of WAMI TV in Miami. video. Bush praises Mel Sembler. Texas Governor George W. Bush on The Jim Lehrer Hour on 4-27-00 praising Straight founder Ambassador2 Mel Sembler, AO for raising money for him while assuring the American public that Sembler and the others would get no special rewards for their efforts. New 2-5-03 The Wave. Want to be somebody special. See how a cult can be formed. Listen to Rob Lorei of WMNF Tampa interview former Straight clients on June 6, 2002. 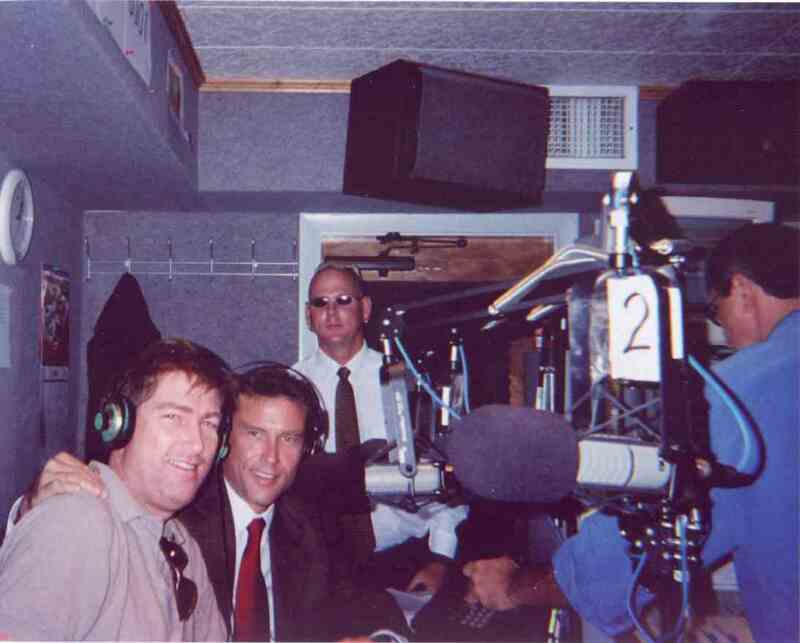 Here's a photo at the radio station with (from left to right) Eddie Denker, Chris Tyler and Richard Bradbury. Listen to Dean Becker of Pacifica Radio, station KPFT Houston, Texas, on August 31, 2002 interview former Straight clients Leigh Bright and Richard Bradbury, and Wes Fager.